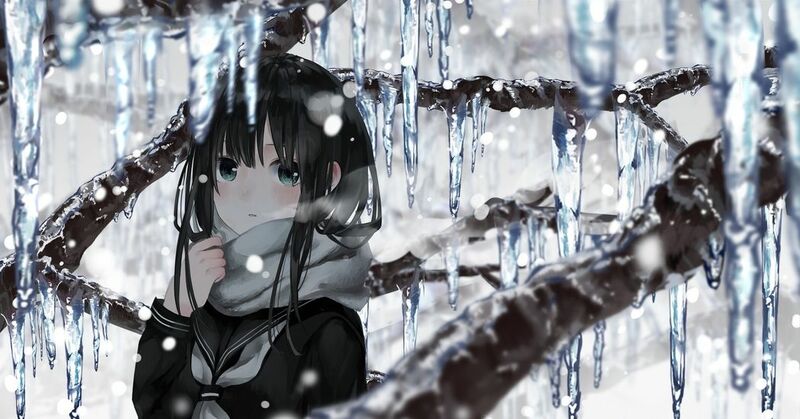 The sight of a girl warming her frozen fingers by blowing her breath to them is kind of lovely and sweet. Although it's a common scenery in winter, the moment our puff of breath turns white, we realize the temperature difference between the world outside and our bodies and the discovery might make some people feel even colder. The contrast that white puffs of air make against the frosty scenery with ice pillars and silvery snow is also a beautiful sight to behold. Today we are featuring illustrations of white puffs of air. Please enjoy!